The 2000 film by Danny Verete, "Yellow Asphalt" ("Asphalt Zahov"), is a core component of my introductory cultural anthropology class. The film was completed over seven years and stars the Jahalin clan (at the end of the film, the credits include each Jahalin family member in the film). It comprises three vignettes, each concerning the collision of Israeli and Bedouin values in the Judean Desert. Every semester I think about changing out the film and showing something more current, but the fact remains that stories dramatize issued that are still relevant and fresh. Yes, the trucks are dated, mobile phones and cell towers are absent, but the basic issues are unchanged. Whether it be the 1950s, the 1990s or 2014, the traditionally nomadic Jahalin tribe and the Israelis continue to clash. ''Yellow Asphalt,'' . . . was completed before the outbreak of the second intifada a year and a half ago and does not directly address the volatile politics of the Middle East. The expulsion of the Jahalin from Israel in the 1950's, for example, and their further displacement by expanding settlements in the late 90's, are never mentioned. But the uneasy coexistence of Bedouins and Israelis is as unmistakable a presence in the film as the dust and wind of the desert. Human Rights Watch released, "I’m Scared to Be a Woman" - Human Rights Abuses Against Transgender People in Malaysia, an investigation into the jailing of transgender individuals in Malaysia for cross dressing. This practice is illegal as it violates Sharia law. Furthermore, Religious Department officials have been accused of beating, humiliating and sexually violating those under arrest. In Malaysia, cross gender expression is a crime that allows government and religious officials to ignore human rights. In Malaysia, the term 'transgender" invites legal discrimination. For the full article and links to the full report, read below or click here. I enjoyed this cultural comment very much from The New Yorker, "Kicking the Bucket List." While I love to go to new places, I equally love to return to places I've been before. Each time the experience get's richer, the friendships expand, I see new things, learn new bits of a place, or simply relax and soak in the familiar. Thank you Rebecca Mead for this eloquent piece. Read the full article below or online here. Leadership Academy GLOW sustainability team. 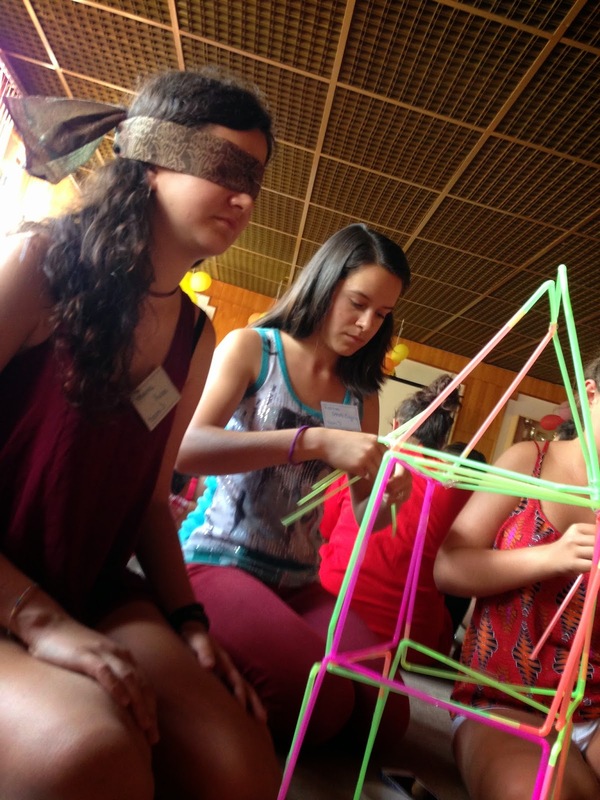 Leadership Academy GLOW (LA GLOW) is a week-long summer camp in Veliko, Tarnovo, Bulgaria for girls 14 to 18 years old. This camp was founded in 2000 by Peace Corps volunteers. It is now a Peace Corps Legacy program run entirely by female volunteers, mainly GLOW alumni who live and work all over the world. Their dedication to the spirit of GLOW is amazing. They work hard work organizing the camp, an online magazine and maintaining other forms of social media, and most importantly fundraising. I believe that the camp should be viewed as a gift each year to a the fifty girls who are selected to attend! Through role playing, seminars, peer-to-peer training, and by incorporating energizers, games and themed parties, the campers learn about leadership and empowerment. Many campers return as counselors or participate in social campaigns and leadership workshops throughout the year. This past August, Corawill, Inc. volunteers participated in Leadership Academy GLOW for the third consecutive year. Our volunteers included two high school English teachers, a university professor and a high school student, all from Connecticut. It was an educational and fun experience and all are on board to return next next year. In the future we hope to bring Bulgarian students to Connecticut to experience our educational system. We thank all of the GLOW staff for their help, but most importantly, for their friendship - see you next year! You can visit the LA GLOW web site here and also find them on Facebook. Below is a small selection of activities from this year's academy. 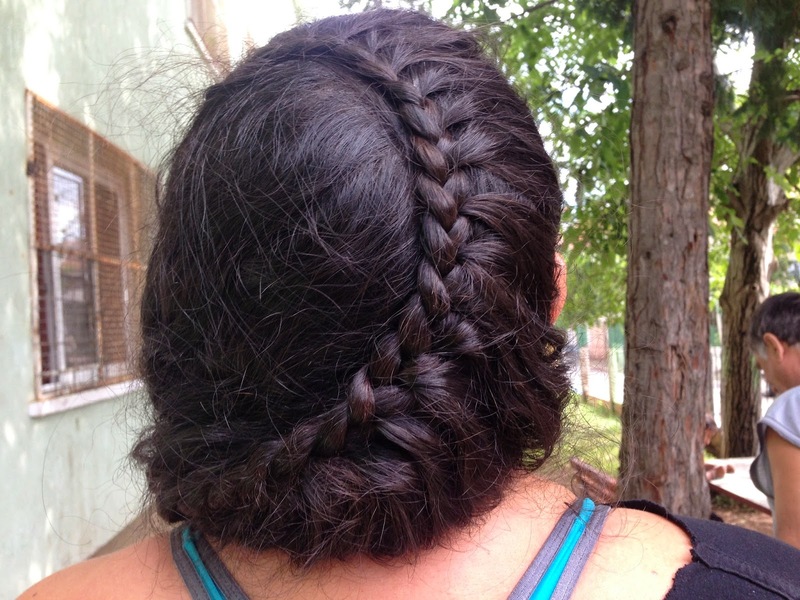 A beautifully fashioned braid for Kira. 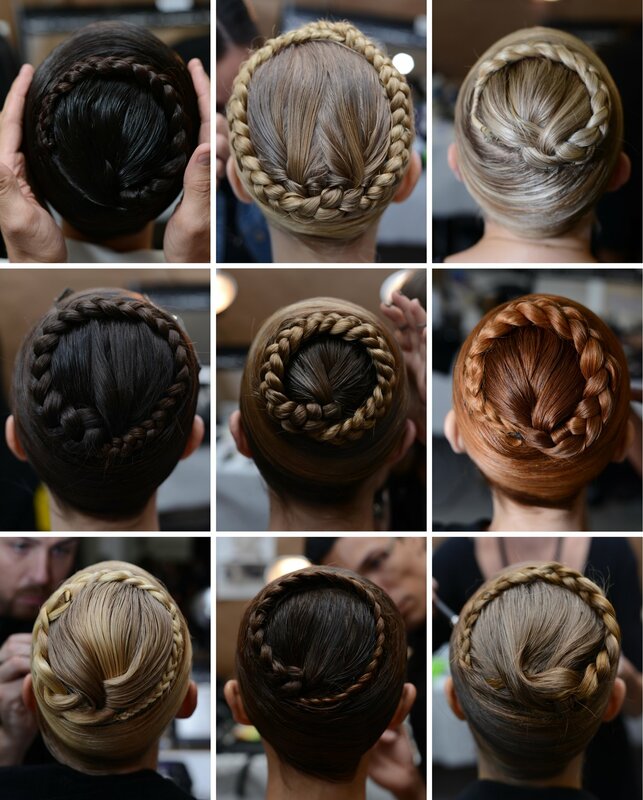 In a review of hairstyles seen at Fashion Week in New York, I saw that braids were all the rage, familiar looking braids! 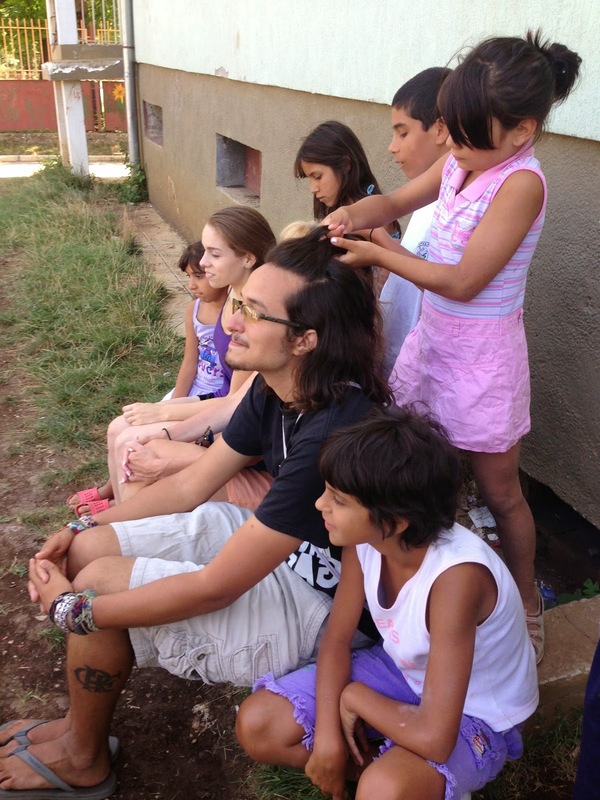 In 2013, our Humanitarian Travel Abroad volunteers were elegantly coiffed by children at a social home in Bulgaria. You can see one of their beautiful results here and compare with models from the New York Times article that follows. New York Fashion Week, so last year! The hair specialists at work, Assen Zlatarov social home in Vratsa, Bulgaria. And from the New York Times . . .
From the New York Times, " Whether messy, tame or somewhere in between, braids (along with towering hats) are showing up in many of the spring collections being displayed on the runways this week in New York." Volunteers with Corawill, Inc. (see tab above) in the US had another wonderful week with the children of Vratsa Social Home in Bulgaria. The home has 61 children aged 7 to 17, many with physical or mental disabilities. 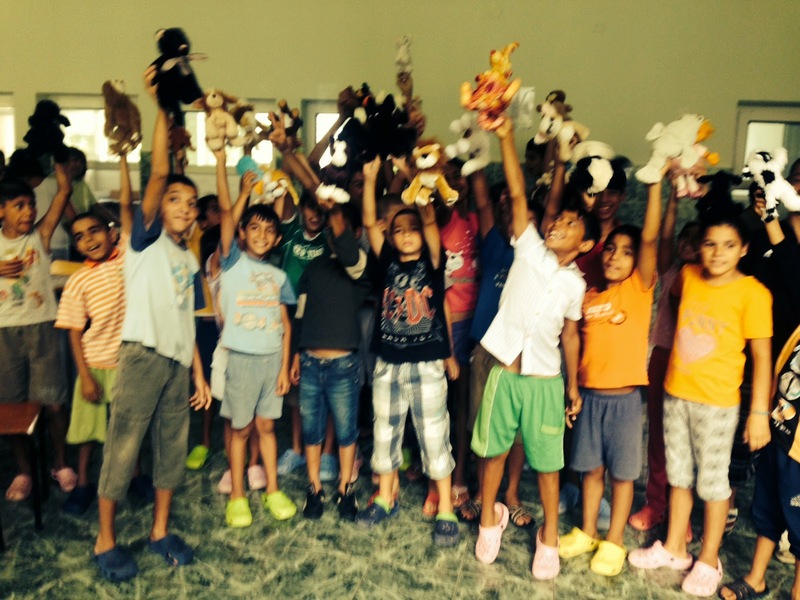 The children are so much fun and eager to teach us a few things as well as participate in our planned activities. This year, two Bulgarian volunteers, Melani and Ive, traveled from their homes south of Sofia to join us too. Our volunteers conducted socialization and educational games with the children, art projects and planned a few surprises like a pizza party and a fresh-fruit-and-whipped-cream snack. The entire dining hall was painted by two of very hard-working and focused volunteers, Mat and David. Erica painted times-table "monsters," while everyone did the easy part of painting in the numbers! We think the overall result was very beautiful! Many thanks to Tabitha Foundation for organizing our trip logistics - see you next year!